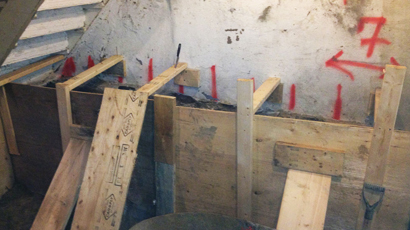 Basement Underpinning Ottawa | Above Water Inc.
UNDERPINNING SERVICE BY ABOVE WATER INC.
As a contracting group specializing in basement underpinning in Ottawa, we often get asked this simple question, “what is underpinning?” Below is a brief answer to that question. What’s That Got to Do with Basements? 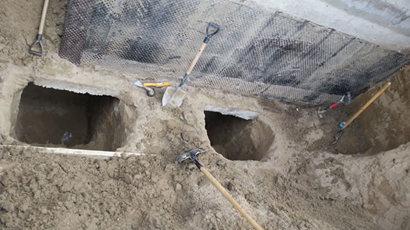 Contractors usually become involved with underpinning basement walls because a homeowner decides to deepen them to create a full height basement. In this instance, they are sometimes originally little more than crawlspace below a floor. At other times, the plan may be to deepen a basement built for storage, so as to create living space with livable head-height. Houses are valued in terms of living space. 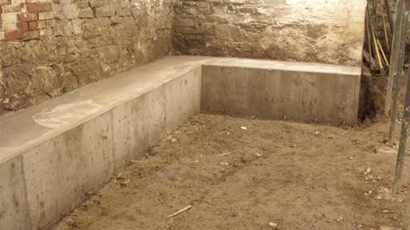 A new basement could, therefore, increase the value of your home by up to 10% – and you get more living space too. Basements are especially popular when it comes to extending homes, because they retain existing footprints, and seldom affect the neighbors.